At least five people were injured, two of them seriously, when a ride at the North Carolina State Fair malfunctioned Thursday night, officials said. 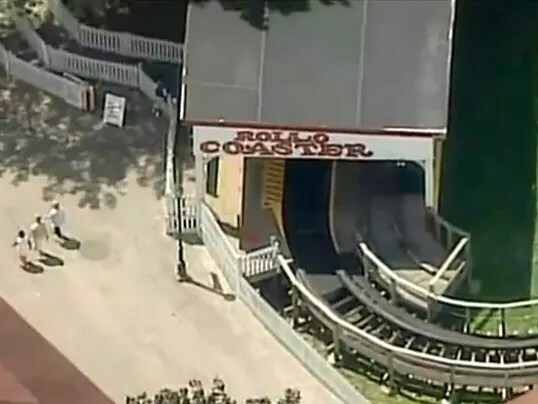 Authorities said the first emergency call came in at 9:17 p.m. and the incident involved a ride called the Vortex. The injured ranged in age from 14 to 39, and some of them came from the same family, said Wake County Sheriff Donnie Harrison. One of the injured was a ride operator. 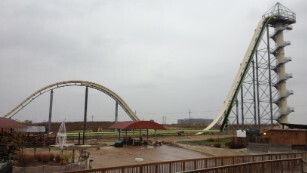 “The ride had stopped and they were fixing to offload when it started up again,” Harrison said. He said it was not clear whether there was a mechanical malfunction or whether human error was involved. Investigators were interviewing around 35 to 40 people who might have witnessed what happened. “It’s going to take quite a while talk to all these people,” Harrison said. The sheriff asked who might have been recording video in the area where the incident occurred to contact authorities. All five victims were taken to WakeMed Health & Hospitals in Raleigh. Harrison said two of the injured were in serious condition and “the other three were in not that bad a shape,” although he could not provide further details. Officials could not say how long the ride and adjacent attractions might be closed. “This has shaken all of us a little bit and we definitely have these folks in our thoughts and prayers tonight,” Brian Long, a spokesman for the North Carolina State, told a news conference. A spokeswoman for the state Department of Labor said rides are normally inspected three times a day. Harrison said fair-goers should rest assured that rides are safe.